Hi there, and welcome back to more of Lawn Fawn's December release. 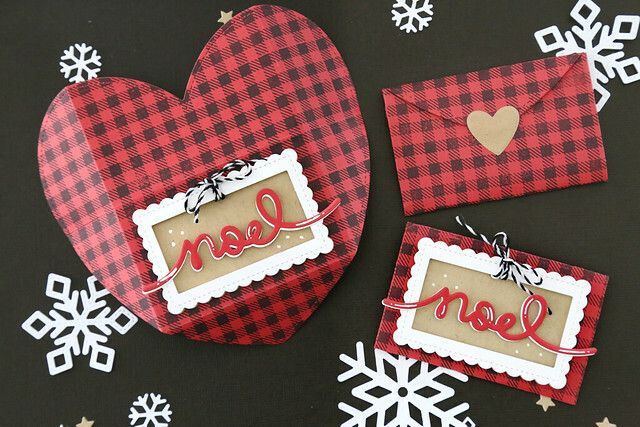 The new heart envelope die is amazing! You can, of course use it for Valentine's day, but I still had some gift cards that needed enveloping for the holidays. 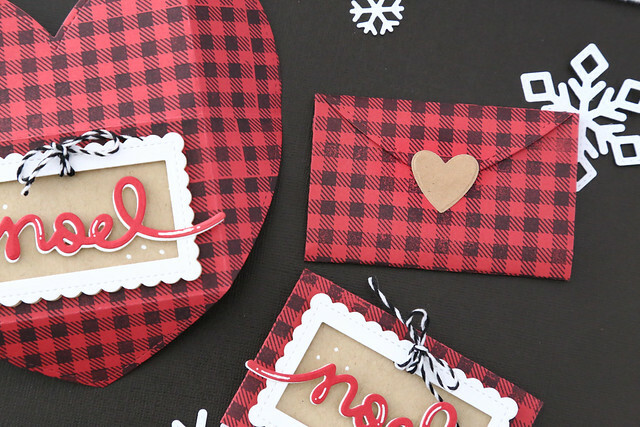 I used Gingham Backdrops to stamp the pattern, in black ink on red cardstock. I need everything to match under my tree, and I have a buffalo plaid wrapping paper for most of our gifts. I love this buffalo check pattern, paired with kraft and some pops of black! It looks so cabin-cozy. I made myself a frame by first cutting the scalloped rectangles and then cutting a smaller rectangle into the middle. The greeting is Winter Big Scripty Words and I die-cut it twice so that there could be a white shadow. I used a gel pen to add some highlights to the word and to the kraft background. All done up in the back it is the sweetest thing. 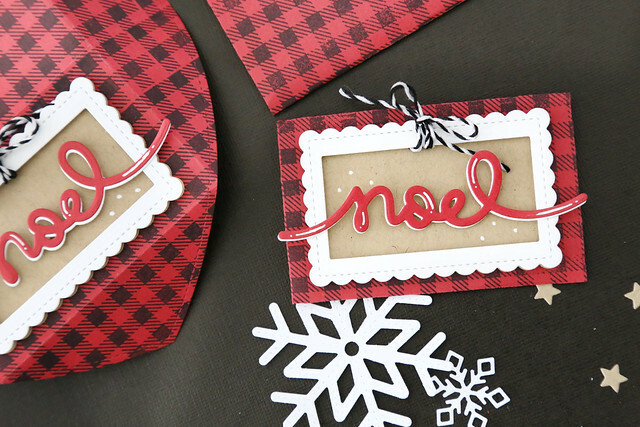 I used a heart die-cut and my stitcker maker to create the envelope seal. I am also loving the buffalo check pattern for the holidays! My Christmas wish list is growing! These are the cutest envelopes! Love the plaid...it takes me back to my childhood and a jumper I wore for Christmas. Thank you for the memory! you made the nice list!